will take place on 2 June. Exhibitor Application forms for the event are now available. Please Click Here for details. Lions Clubs International celebrates over 100 years of Service. Lions came to the British Isles in 1950. 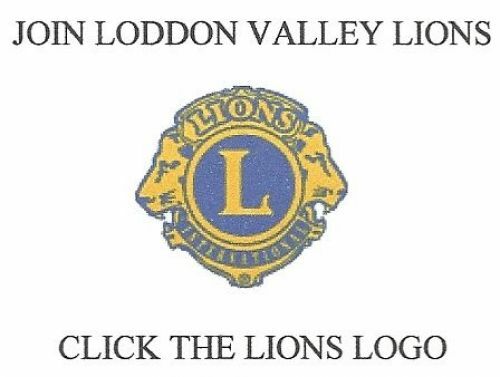 Loddon Valley Lions Club was chartered in 1975 and is part of Lions Clubs International, the world's largest and premier International Voluntary Service Organisation. We currently have 37 members drawn from all walks of life and we meet every first and third Wednesday in the month at 8.00 pm. at Sherborne St. John Social Club, Elm Rd, Sherborne St John, Basingstoke RG24 9HP. If you are service-minded and are willing to give a little of your time we would like to hear from you, please Click the Lions Logo to the left of this paragraph. Also, please feel free to join us at one of our meetings to find out more about our work. We do not charge administrative costs against our fund raising projects; we are one of the few organisations where every penny raised goes to the cause supported. We do not involve ourselves in the discussion of partisan politics or sectarian religion.